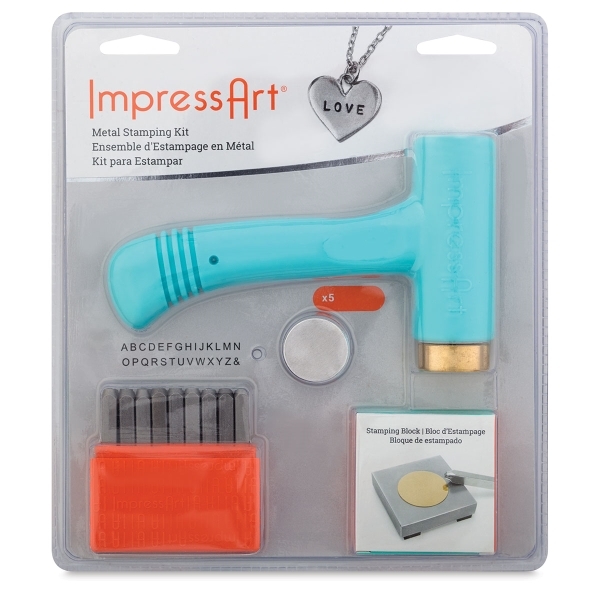 The ImpressArt Metal Stamping Kit combines all the essential stamping tools into one convenient set. 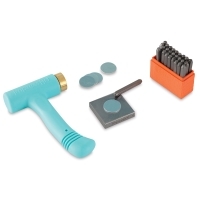 It includes a set of letter stamps, a hammer, a steel block, and aluminum stamping blanks. It's the perfect collection of supplies for creating hand-stamped jewelry and craft projects of all kinds. ® ImpressArt is a registered trademark.™ Ergo-Angle is a trademark.